Exactly 30 years ago at the time I am posting this (01:23:40 am local Kiev, Ukraine time), the lives of over 300,000 people were changed forever. The Chernobyl Nuclear Power Plant Unit Number 4 suffered a catastrophic accident that, to this day, is still the world’s worst nuclear power plant accident. It was not one single item that caused this epic accident, but many interconnected events. There were many moments along the timeline of events where this catastrophe could have been prevented beginning with these two factors - the type of reactor that was constructed and the people who managed it. Governmental nepotism allowed those in the industry to promote people based, not on their ability, but based on who they knew and some of these people were not the best in the field of nuclear power engineering. Additionally, this was a reactor design built not with safety in mind, but with low cost and efficiency for the creation of Plutonium for weapons - quite a valuable development to those in power. Government organizations including: Soyuzatomenergo, Gidroproyekt, and Gosatomenergonadzor, which were responsible for the safe design and operation of Nuclear Power Plants in the USSR, were all aware of a scheduled experiment and its flagrant disregard for standard safety procedures, including the disconnection of all emergency cooling systems. These groups could have stopped the experiment, or changed the design parameters, but instead did nothing. Anatoly Dyatlov, Deputy Chief Engineer for the Chernobyl Nuclear Power Complex, who (in my opinion) is the individual with the greatest single responsibility for the accident due insisting on continuing the experiment even after the reactor had dropped below 200 MW thermal and had been poisoned by neutron absorbing fission by product (xenon). The governing organizations could have changed or halted the experiment. Today could have been like any other ordinary day, but they did not, and it is not. On the night of the accident, Anatoly Dyatlov bullied Aleksandr Akimov (unit shift chief who took charge of the experiment at 12 am on the 26th of April 1986) and Leonid Toptunov (SIUR senior engineer of the reactor) and forced them continue to increase the reactor's power by removing more control rods beyond the minimum required by the defined safety protocols. Akimov and Toptunov both wanted to shut-down the reactor at approximately 1:00 am, but were vetoed by Dyatlov. At the time of the accident, only 11 of the required 28 control rods were inserted into the reactor's core. At 1:23:04 am on the morning of April 26th, this experiment commenced and the main circulating pumps began cavitating almost immediately due to the excessive temperature of the inlet water. The cooling water in the reactor boiled-off and the power of the reactor began to increase. At 1:23:40 am, the AZ-5 button was pressed to immediately shut-down the reactor by lowering all control rods; however, due to the deformation of the fuel channels from the excessive heat, the control rods seized at a depth of about 6 feet into the reactor, instead of being inserted their full 25 feet. 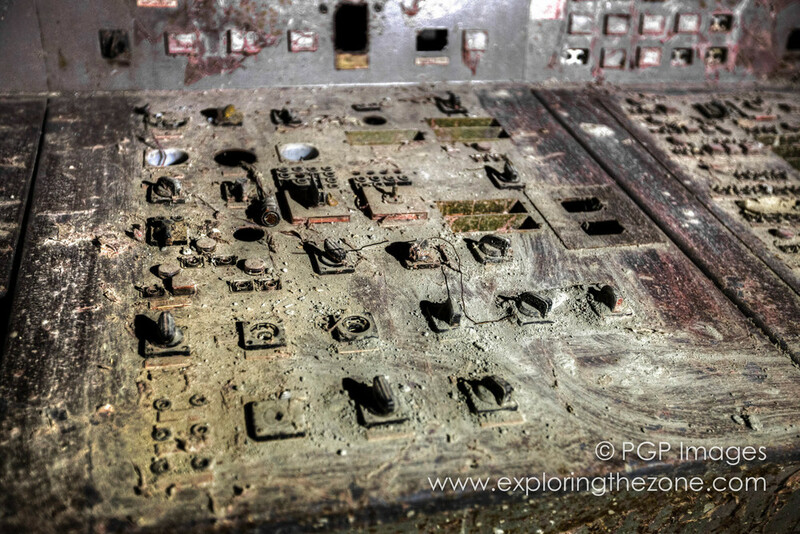 The reactor began to rumble and the control panel indicated no water flow and failure of the pumps. The reactor power spiked in a matter of seconds from 200 MW thermal to over 30,000 MW Thermal (or about 10 times its operational design parameter). Dyatlov continued to believe the reactor was intact and continued to report this to his superiors. It was not until 10 am (approximately 9 hours after this reckless test commenced) that it was officially reported that the reactor had been destroyed and it was not until 2 days later that the rest of the world learned of this catastrophe. In the aftermath of the accident, over 192 villages inside the Zone of Alienation (Zone of Exclusion) were evacuated and over 200,000 people were forced to leave their homes forever. To this day, the Zone of Exclusion, which is the size of the state of Rhode Island, is still off-limits and official permits are required to enter. I have dedicated the past 6 years of my life attempting to document the results and inform the public about the consequences of human actions. My work is not meant to depress, but to inform and help us learn to appreciate the delicate and amazing world in which we live.